BOO! Mhuahahahahahaaaaa! The stamping plate I used for this is HeHe 057. 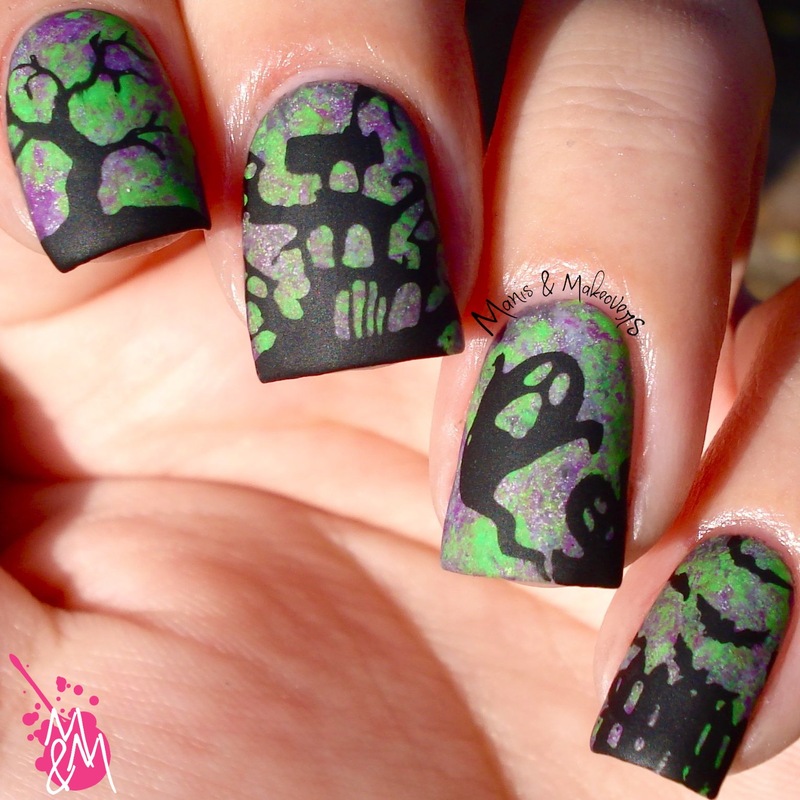 I stamped with Konad black over a saran wrap goo mess I created using a base of Essence "I'm The Boss", "Lilac Is My Style", Maybelling "Cool Touch", El Corazon 423/32 and Mod Lacquer "Stunned". I thought it would look like a toxic environment, lol ;) Of course, I had to mattify it all, because it makes most of you happy! 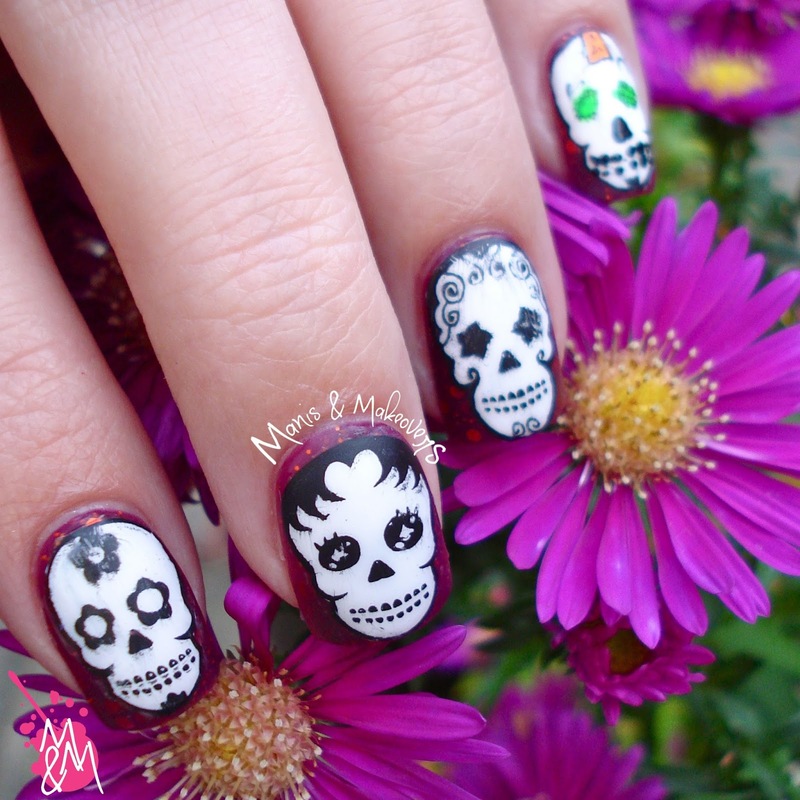 The second mani is with Hehe 010, an awesome plate with sugar skulls! I created decals with this plate and placed them over Incidental Twin "Ooky Redux". 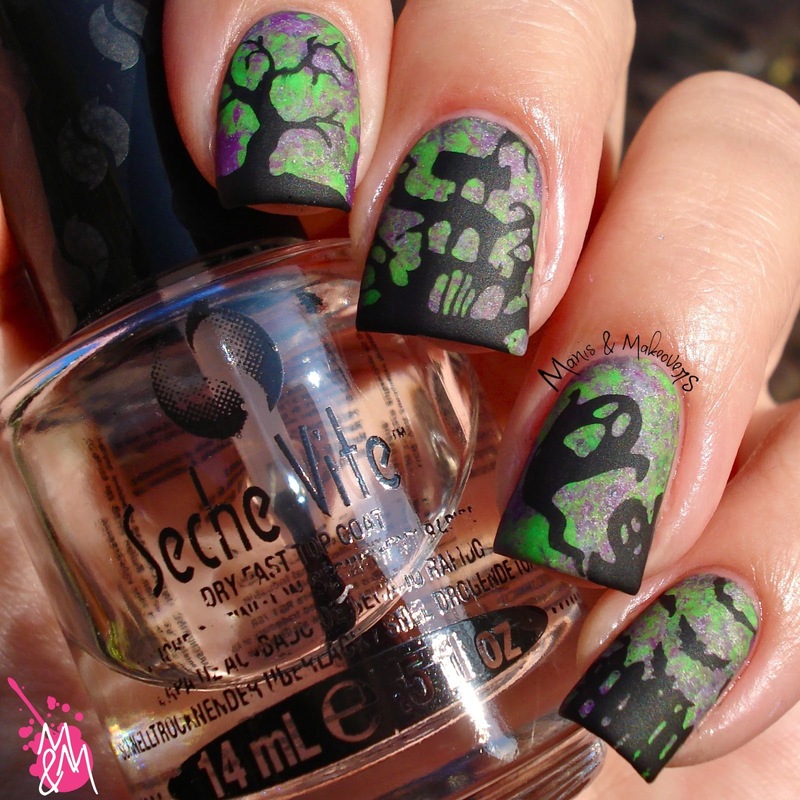 As you can see, they're really big, so they don't fit on short nails (unless you go artsy for parts off skull). The plate stamps well, but my decal making skills had sort of vaporised that day.. 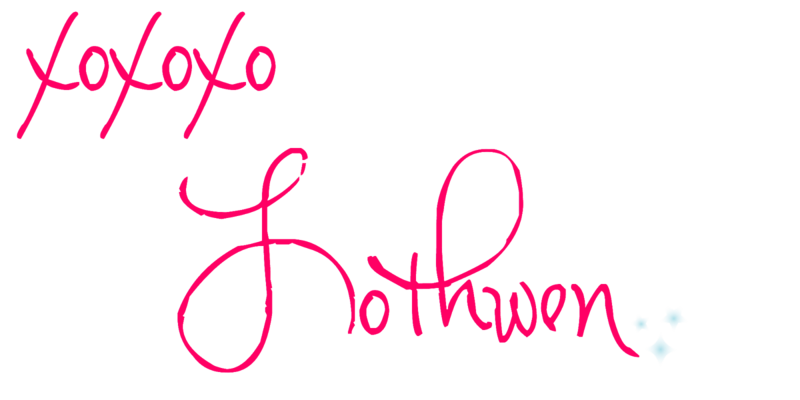 I redid them a few times, but I kept messing up, so this'll have to do. I really did the best I could.. 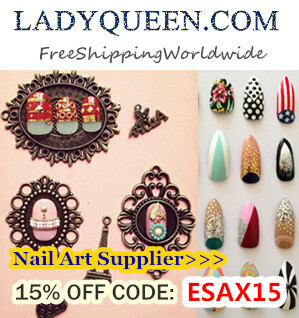 If you're interested in these nail art items, you can find them here and here and be sure to use discount coupon code ESAX15 for a 15% discount! 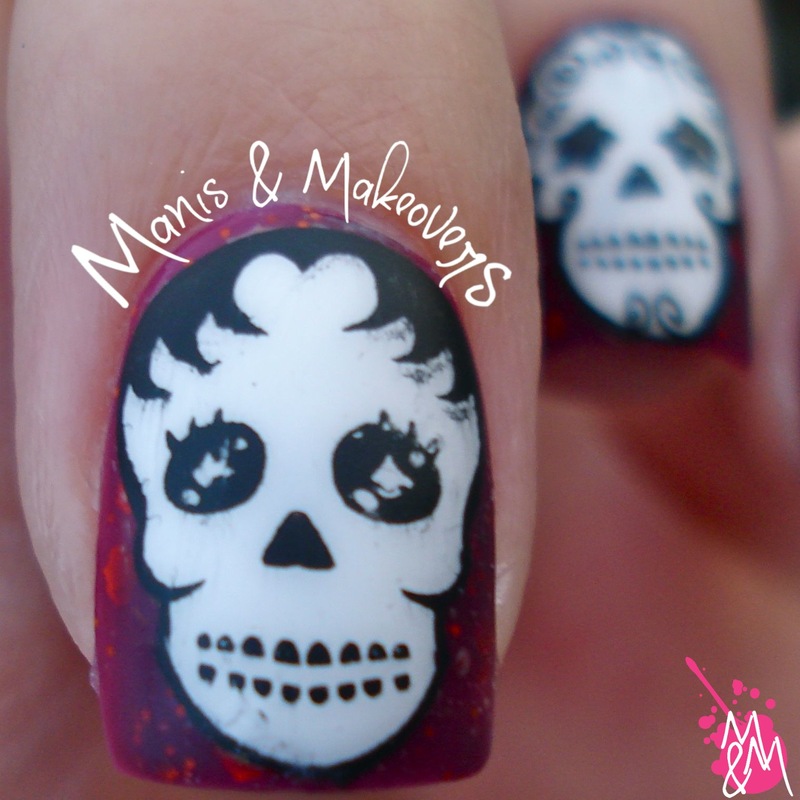 Love the skull mani so much! And your decals look amazing! 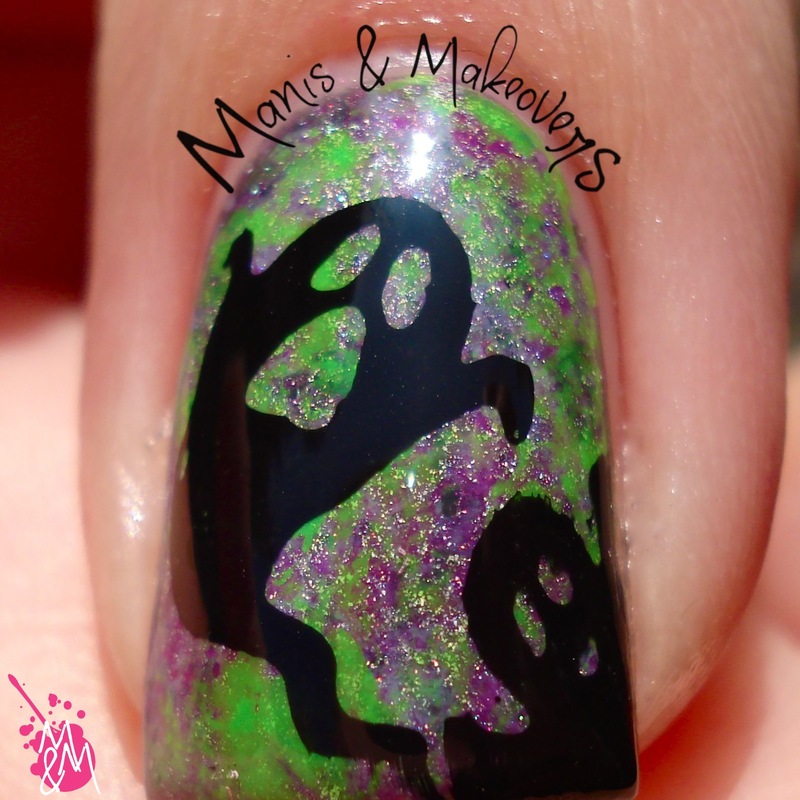 You are blowing me away with these Halloween manis! 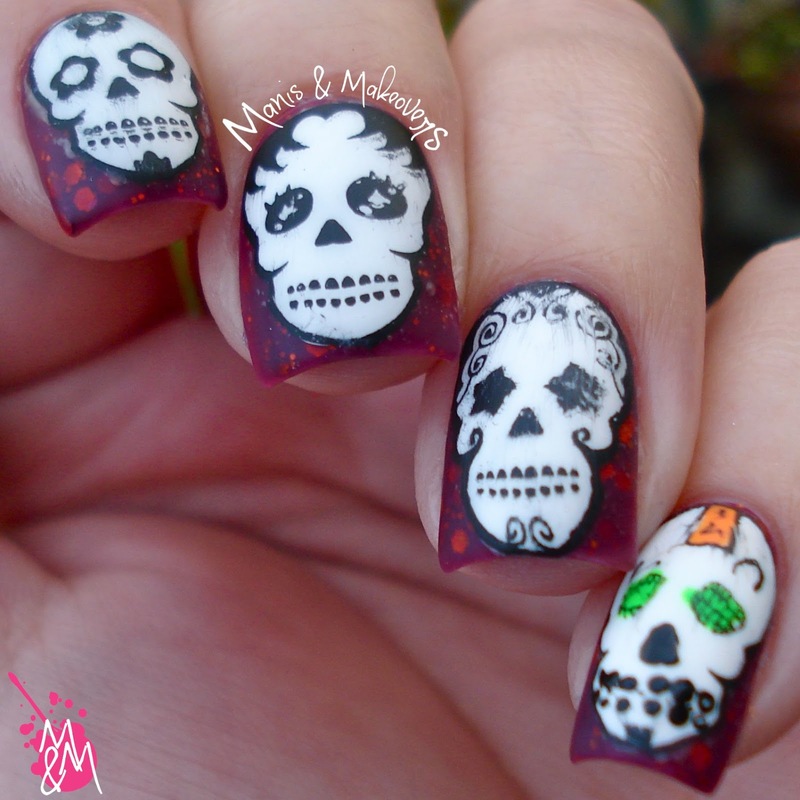 Skulls aren't my things but I adore the first mani! The colours are so Halloween perfect and that plate looks like one I have to have! I love both of these designs! Both the skeleton as well as the black silhouettes! I LOVE the base on the first mani! It's fantastic! 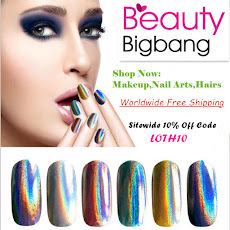 That saran wrap mani is amazing. Love that color combo. 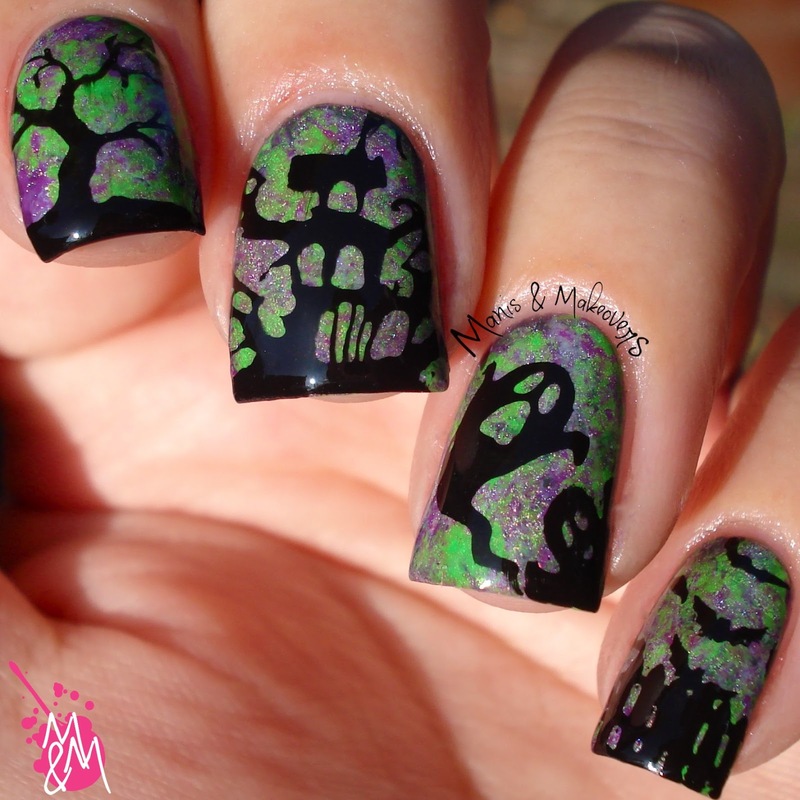 I just love the funky background on the first mani! I love the base you did for these! those skulls are to die for! Gorgeous! HPB Presents: Kitty Catty Halloween! Paws By Eddie "Gamma Quadrant"
Incidental Twin "Loki Stole My Feels"
Friends on Friday - Weddings, weddings, weddings!